The image is quite interesting to look at and will surely attract your child the moment he sees it. 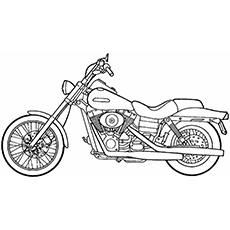 You may use this image to teach about the art of coloring and shading different parts of a motorcycle. The purpose of the picture is to evoke humor and laughter. You should definitely use this image to teach your child the different names of domestic animals. He surely won’t forget after seeing this image. 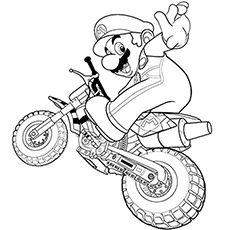 Here you will find Super Mario having a great ride on his motorcycle. 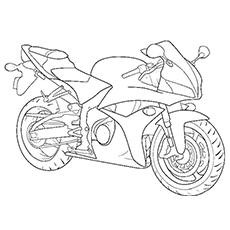 The picture is quite easy to colour and should not take much time to finish. 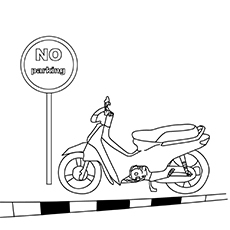 Your kid will find no difficulty while coloring the picture since the borders are well designed. 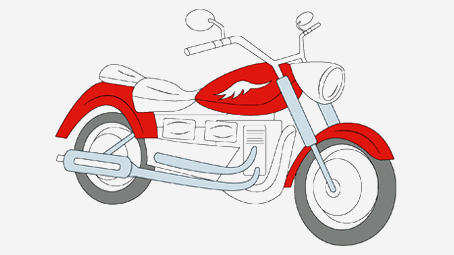 He may use colors of his personal choice for the different parts of the motorcycle. They were founded in 1901 and have a very interesting anatomy. It stands as a representation of travel, power and freedom. 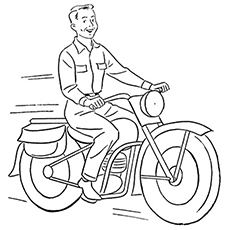 This picture depicts an old fashioned motorcycle in full speed as a middle aged man enjoys himself on a breathtaking ride. 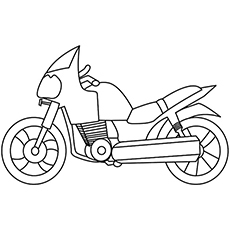 You can help your child understand motorcycles better by showing him real examples too. 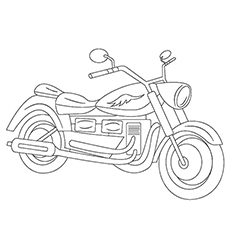 Tell your kid about the world’s popular motorcycle named Super Honda Cub. It was invented by a Japanese company. The image has several sections that are tiny. He might need your help while coloring them. There is quite a bit that needs to be colored in this image. So remember to stay by his side. 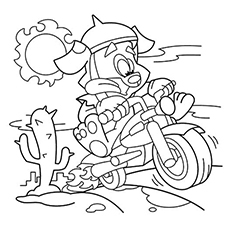 You may use the image to tell your child about cactuses, the famous desert plant with thorns. This motorcycle has a close resemblance to the famous MTT Turbine Superbike, that is the most powerful bike in the world. It has mind boggling horsepower and is quite expensive. 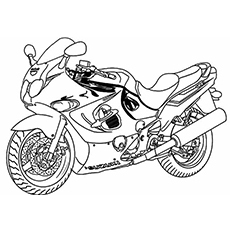 It is suitable for kids who have just started to learn coloring. 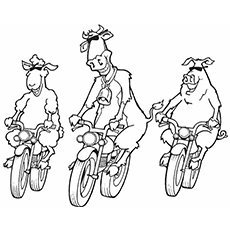 The picture is quite similar to those old school style motorcycles seen in Hollywood movies. It represents freedom on the road and swift driving!